While some states have just gotten round to launching their recreational cannabis markets, such as Michigan, Colorado is already five years deep in the adult-use segment of the legal weed industry. Here we are in the midst of the pro-pot wave that is currently infiltrating much of North America and Colorado’s recreational cannabis industry continues to reap the rewards. 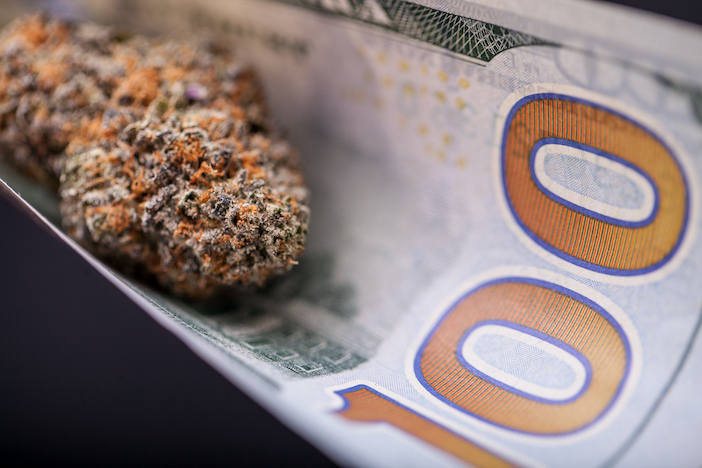 According to recent data revealed by the Colorado Department of Revenue, recreational cannabis sales in Colorado hit $800 million throughout August 2018. This figure is expected to exceed $1.2 billion by the time the year is up. If predictions materialize, the state’s recreational cannabis market would have pulled in 12 percent more than the total sales revenue accrued in 2017. Why is Colorado’s recreational cannabis industry gaining traction five years post-legalization? More licensed cannabis vendors providing consumers with easy access to recreational stores is the likely answer. A total of 498 recreational cannabis stores were licensed in Colorado as of August last year. By September of this year, the figure had swelled to 541, indicating a nine percent increase. In addition to the improved access, consumers are being spoiled for choice when it comes to the type of cannabis products available inside stores. Edibles and concentrates are flying off of dispensary shelves. Since these products sell for more than traditional flower, cannabis sales revenue is bulging. More potent and powerful, these particular types of cannabis produce significantly more intense effects than dry herb, with some concentrates retaining 99.9 percent of their cannabinoid content. Compared to the average 25 percent THC that is available in smokeable flower, it’s clear why Coloradans are swaying towards the concentrates and edibles section. Not to mention, flower prices are cheaper than ever in Colorado. The increase in adult-use sales indicates that the volume of purchases is outweighing the falling price of flower. Even though Colorado’s cannabis market has been yielding big results for the state since 2014, when it legalized recreational weed under the Colorado Amendment 64, the rate of growth is starting to dwindle. However, this is normal for any market that experiences intense growth. Recreational cannabis sales in Colorado were approximately 50 percent higher in 2016 than they were the year before. Albeit impressive, sales only climbed 27 percent more in 2017 than they did the preceding year. Predictability and consistency are noticeable in seasonal sales trends, which further suggests that Colorado’s recreational cannabis market is almost fully matured. Three monthly adult-use sales records have already been broken in 2018. In March, a sales record of $105 million was set, before sales reached $111 million in July. Almost $113 million in recreational cannabis sales revenue was harvested by August. The Centennial State’s legal weed sales even overtook alcohol sales from July 1, 2014, and June 30, 2015, according to the Colorado Springs Business Journal. No other state has ever made more annual tax revenue from cannabis than alcohol, spotlighting Colorado as a major competitor in the growing market.